This is a copy of an op-ed published in The State newspaper, May 9, 2013. Also available as print copy. Please cite as: Deflem, Mathieu. 2013. "Columbia's Security-Camera Buying Spree Raises More Questions Than It Answers." Op-ed. The State, May 9, 2013. COLUMBIA, SC — The news that the Columbia City Council has decided to install an additional 800 security cameras is no great surprise. Evolving from cameras that were donated by the very company that installs them and profits from their use, what else but expansion could have been the next step in a continuing process to cover all the places in the city where cameras can potentially be installed? What remains puzzling about the rush to camera justice is how much money is being made off of these installations. Considering that the city chose to go with the more expensive of two suggested plans, it is also not without reason to investigate how much, if any, of the money is pouring into the coffers of the elected and appointed city officials who decided to install the cameras. 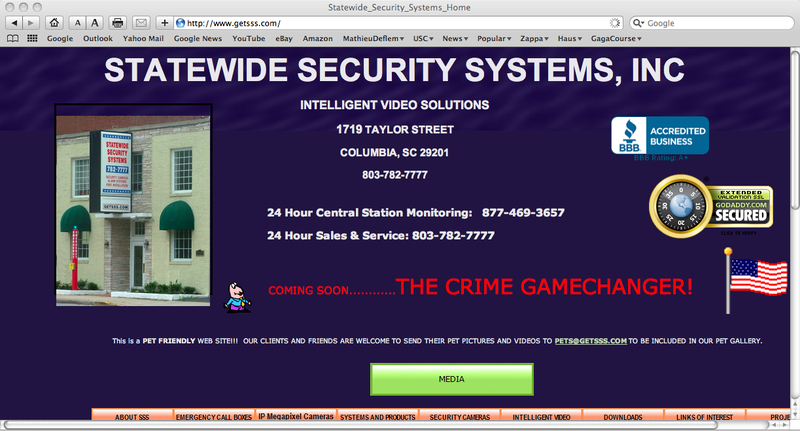 As reported in The State on April 30, at least one Columbia Police Department official lauded the camera expansion as a “game changer.” Could it be a coincidence that “game changer” is the motto most prominently displayed on the website of Statewide Security Systems, which provides the cameras (www.getsss.com)? Do we really want our police to rely on the advice of a private security company? Why did our mayor commend the owner of Statewide Security Systems while admitting it’s the most expensive option? Security cameras have proven their value in certain crimes and emergencies. However, such success stories often are also hyped while ignoring the many instances when cameras do not and cannot work. More broadly, it is important to ask what consequences the security cameras may have, most obviously in terms of our need for privacy. A sense of safety cannot be provided by machines, which ironically can heighten feelings of insecurity as we wonder why cameras are installed and we remain ignorant about what is done with the images when nothing criminal has occurred. It remains as important as ever to ask who is watching the watchers and why they are watching us in the first place. See related writings on social control and criminal justice.